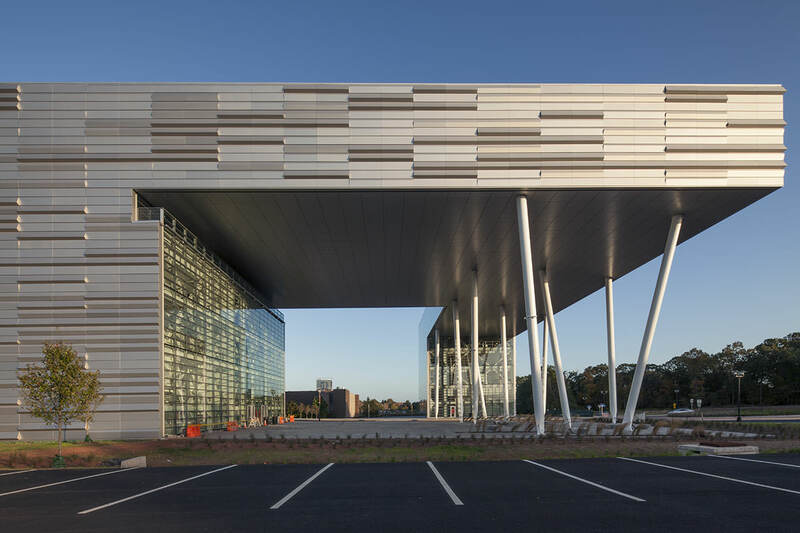 Rutgers University Business School, at the Livingston Campus | Front Inc. 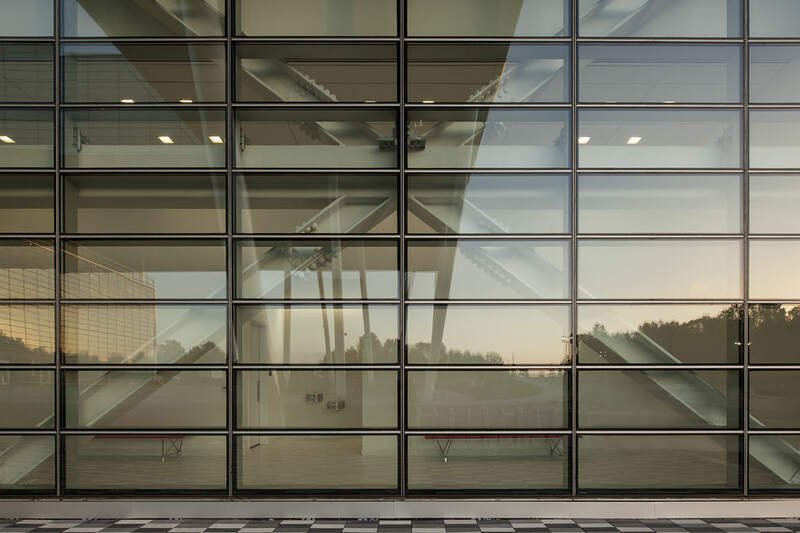 Facade ContractorJangho Curtain Wall Americans Co.,Ltd. 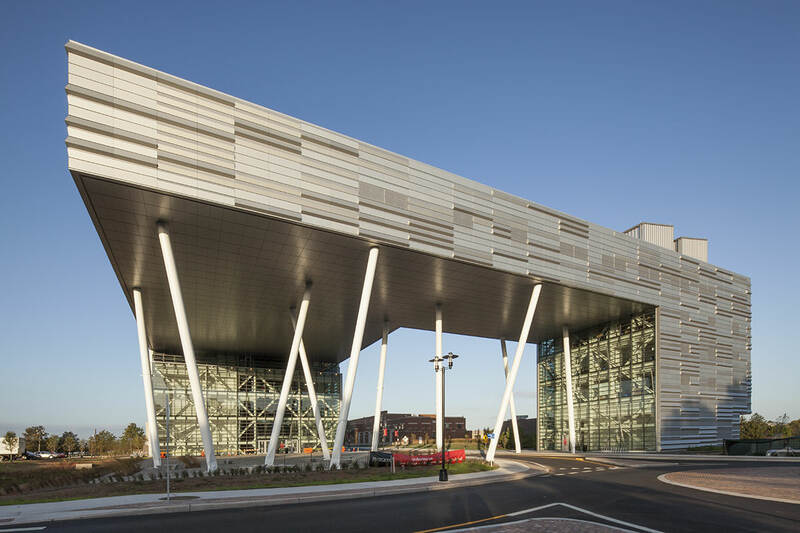 This new business school creates a striking gateway to the Livingston Campus in New Brunswick. 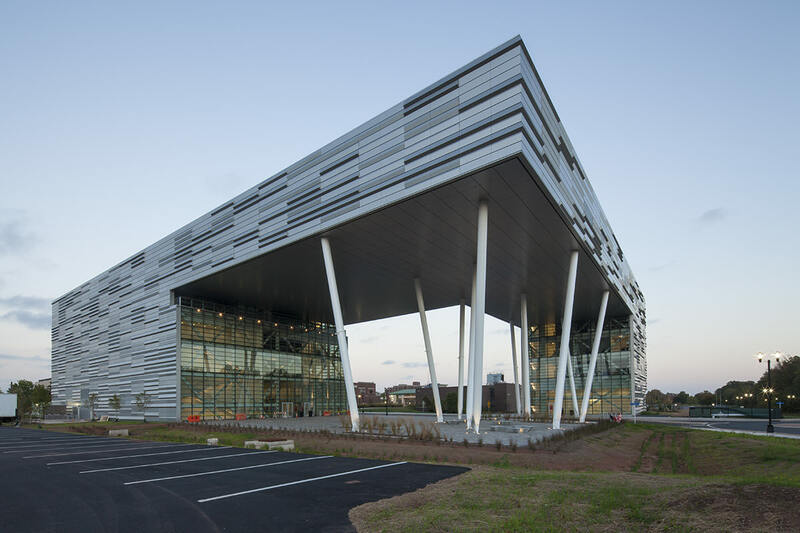 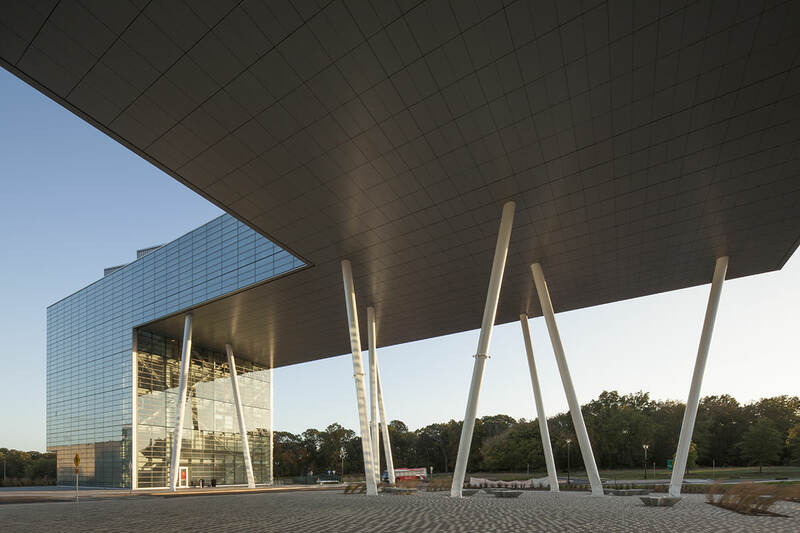 It features an impressive elevated volume, which floats above an expansive open plaza, and frames a view of the campus between the two vertical wings of the building. 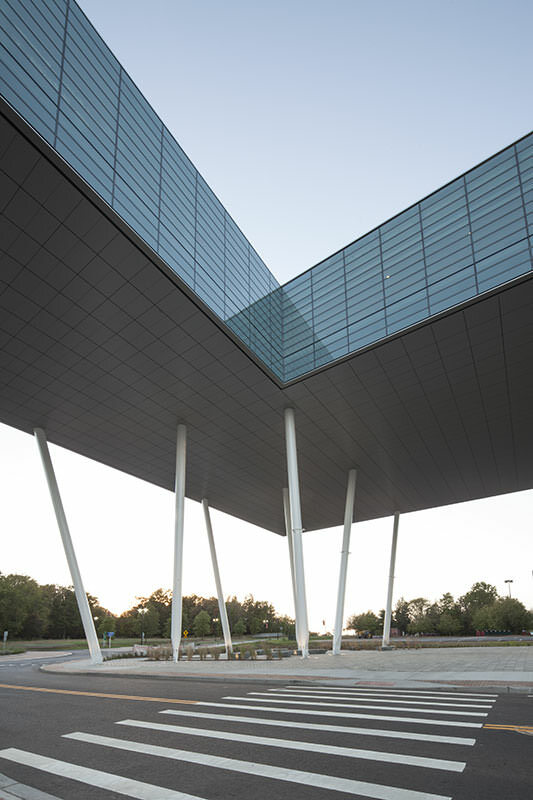 The large cantilevered soffit is clad with aluminum panels, which are only interrupted at the tilted column supports. 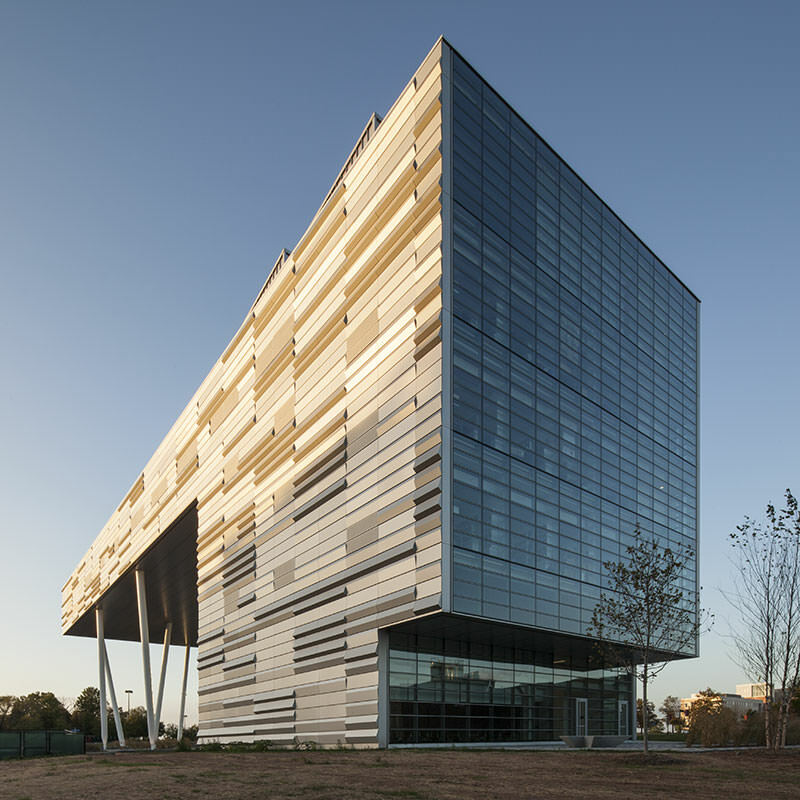 The vertical façades are composed of two primary systems: a three-dimensional anodized aluminum rain screen panel system and an insulated glass curtain wall. 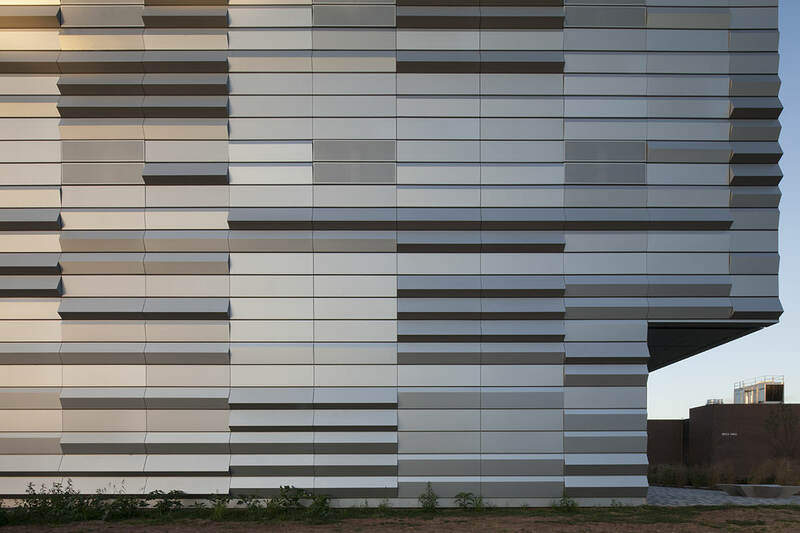 The folded aluminum rain screen is composed of multiple panel profile types that are arranged on the building to create a randomized textural effect. 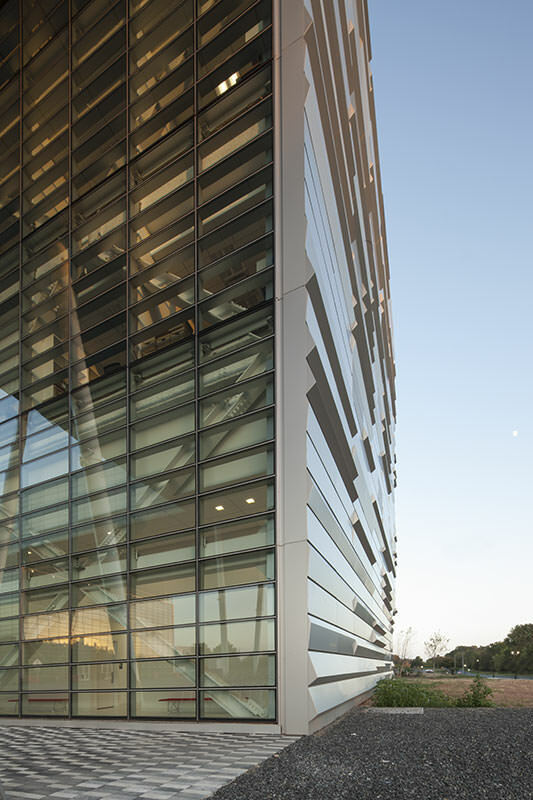 The low-e insulated glass units feature silk-screened linear ceramic frit patterns at some locations to provide additional solar and visual filtering. 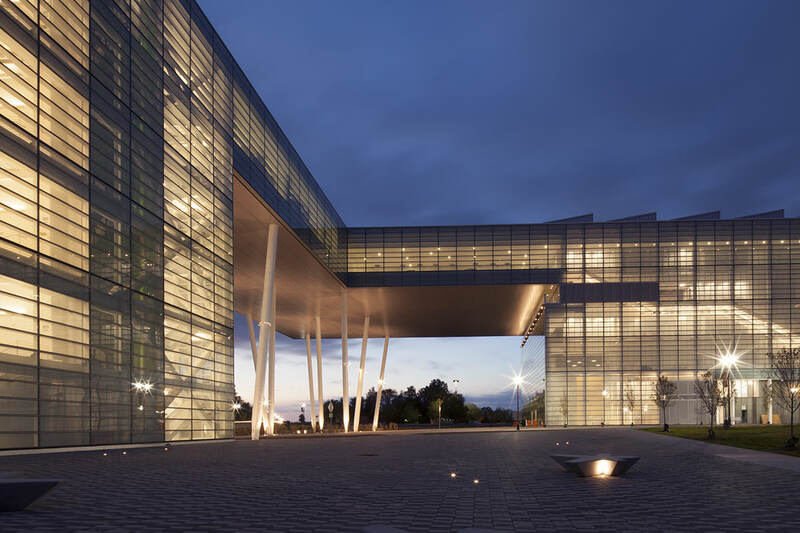 The 143,000 ft2 (13,285 m2) building houses classrooms, lecture halls and auditorium spaces. 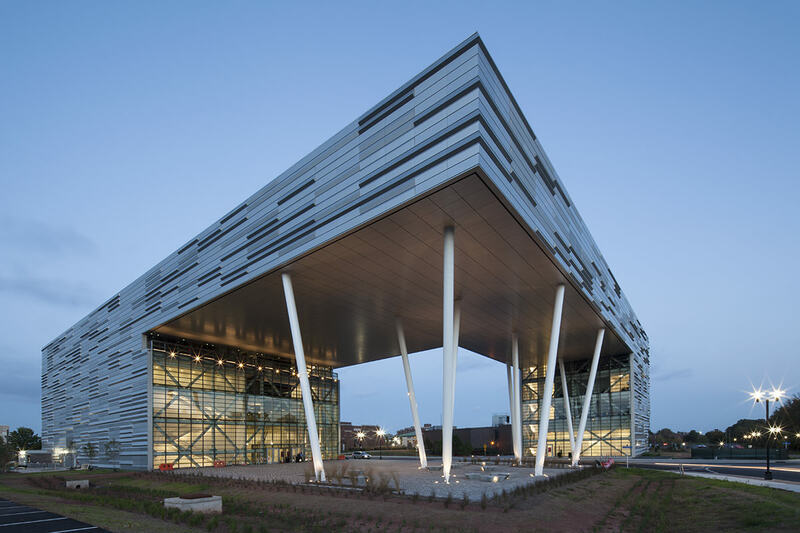 Front consulted on the entire enclosure from schematic design through construction administration.